One of the Biblical exhortations I find the most challenging for me is the instruction to “in lowliness of mind let each esteem others better than himself” (Phil. 2:3). This instruction is for Christians in relation to others in the church. I often ponder what should that “esteeming others highly “looks like in practice? Going to my handy dandy online English dictionary, I look up the word esteem. “Esteem: To set a high value on: to regard highly and prize accordingly”. Next, I go to my favorite Greek Dictionary by Spiros Zodhiates. The Greek word hegeomai :“To hold or esteem in a particular light.” So I look in my Bible, which sheds light on what my Greek dictionary says, meaning we each should regard my brothers and sisters as better than ourselves. My natural mind thinks I’m doing better than some Christians. My mind tells me that I think sister or brother so-and-so has a few things to learn. In a flash I remember that God resists the proud and gives grace to the humble. (James 4:6). That is a warning to me that I need to work on the “lowliness of mind” part. Reading in Philippians chapter two, I find clues about how my attitude should affect my actions. Paul gives us four examples of the submissive mind: The Lord Jesus Christ, Paul, Timothy, and Epaphroditius. I read that we should be “Like-minded”, have “love”, and “lowliness of mind”. We are to “ have the mind of Christ”. These men “sacrificed”, and “ministered”. Amazingly, Christ “humbled Himself and took the form of a servant” and gave His life for us. Christ has not left us without Help. The Holy Spirit is alive and well and in us, and I am encouraged to pray and trust in the living God to help me. May He lead me to practical outworking of these truths in my life. Deb grew up in Ohio and was the oldest of six children. She was saved at age eleven and writes, “I am grateful for those who brought myself and others the Good News of salvation, through children’s ministries.” She and her husband Dave have 23 wonderful grandchildren. 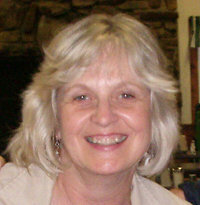 The Lord has led Deb to co-labor with many others in Bible Clubs in the home and local elementary schools, beginning in 1975. Currently, Dave and Deb lead two after-school Bible clubs, as well as assist in their assembly AWANA club. In Alexander Stauch’s book “If You Bite & Devour One Another” (2011), he discusses this topic in conjunction with handling conflicts in the church. He states “human conflict is one of the dreadful consequences of sin entering the world” (p. 1). He then ponders how are Christians working together in unity (p. 2)? His response includes the foundational biblical perspective of humility (p. 5). Next Strauch connects humility to the greatest example God has provided for us; “Christ Jesus . . . did not count equality with God a thing to be grasped, but . . . humbled himself (Philippians 2:5-6,8). He (Strauch) provides two suggestions on maintaining humility; denouncing wrong attitudes (selfish ambition and pride), and teaching right attitudes. Strauch concludes by stating “we who read Paul’s words [to the Philippians] today also need to humble ourselves, love and serve others, break the habit of complaining and arguing, and stop our petty, selfish fighting with one another” (pp. 49-50). Strauch, A. (2011). If you bite & devour one another. Littleton, Colorodo: Lewis & Roth Publishers.